STORRS - UConn's Napheesa Collier is playing herself into the conversation for national player of the year. The Owls scored the game's first five points. 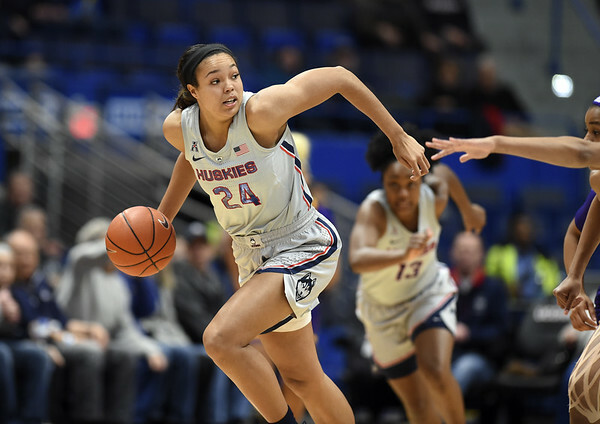 UConn took a 10-9 lead 3 ½ minutes into the game on a free throw by Megan Walker and never trailed again. A 3-pointer from Samuelson just before the halftime buzzer sent the Huskies into intermission up 58-40. Posted in New Britain Herald, UConn on Saturday, 9 February 2019 21:49. Updated: Saturday, 9 February 2019 21:51.